Patchogue Village is experiencing a sort of revitalization attracting new businesses and new residents along with an influx of visitors. The Village is located on the Great South Bay about 50 miles from Manhattan and 60 miles from Montauk Point. If you live in Patchogue Village or are looking to buy or sell a home or business in the Village, here are some helpful resources. Building or remodeling projects require prior approval by the Building Department to ensure that they meet all building, fire, and zoning codes. Formal and informal inspections are available to building owners. Locate applications, forms, and fees at this link. Information about property taxes including due dates, tax rates, and exemptions can be found through the Receiver of Taxes division. The Department of Public Works oversees sanitation, recycling, and lighting as well as street and highway maintenance. Find the sanitation schedule, information about recycling, other miscellaneous trash disposal and even snow removal at this website. Electricity and natural gas are provided by the Public Service Enterprise Group (PSEG). There is a customer service center in Patchogue Village operated by PSEG Long Island. Information about various community services is available on the Village of Patchogue Community Services website. Here you can read about schools, libraries, civic organizations and city services. Links to specific civic organizations such as the Patchogue Arts Council, Lions Club, Rotary Club, Kiwanis Club and YMCA are readily available through this helpful site. The Village is served by multiple means of transportation that include bus, train, and ferry. Suffolk County and Long Island Railroad offer train and bus routes throughout the county, while Patchogue Village has bus service of its own running during the week. Find information about ferry service from Davis Park Ferry Co, Inc. Helpful links to all of these services are below. The Parks and Recreation Department of the Village proudly oversees five parks, eight recreation facilities and has a number of activities including a softball league available to residents and non-residents. For those looking for an opportunity to give back to the community, volunteer opportunities are widely available in Patchogue. The Arts Council, Library and Brookhaven Memorial Hospital have opportunities and can be found at the link above under Community Services. The Patchogue-Medford Library provides its own listing of additional opportunities including animal shelters, the community garden, the community soup kitchen and local churches. The Patchogue-Medford School District is proud to provide public education in eleven schools located throughout the district. Both Realtor.com and Zillow.com provide comprehensive information about the schools in Patchogue. Learn more about the school district directly on their website as well. Home values in Patchogue have risen 11.8% over the last year and Zillow is predicting an additional 3% increase next year. Median home value is approximately $306,000 with a median listing price of nearly $325,000 with median sales price landing around $308,000. The market is less healthy than other markets in the country rated at 3.1 out of 10 with a slightly higher than the average number of homes with negative equity and higher than average rate of delinquent mortgages. The rental rates in Patchogue, as will those throughout New York Metro areas, is higher than the national average. Data listed on Realtor.com is similar. Patchogue is a livable small suburb of New York with a population over 12,000. The median age is 35 years old. Median household income is over $68,000 with an even mix of renters and homeowners throughout the city. 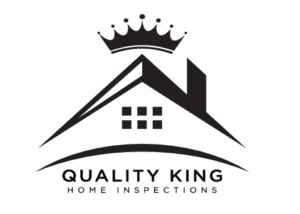 If you are looking at buying or selling a home or business in Patchogue Village, Quality King Home Inspections is proud to offer over 20 years of experience and great customer service with easy to understand reports. When you are ready to schedule your home inspection contact us.